The science supports it. The numbers verify it. When the top offense meets the best defense, the team with the ball wins most every time. We saw it earlier this season when the Kansas City Chiefs dismantled the Jacksonville Jaguars. 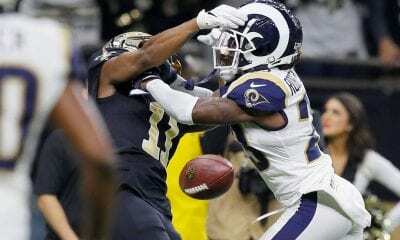 And the New Orleans Saints proved it again Sunday, although it took some good luck and a statistical aberration to make it happen. 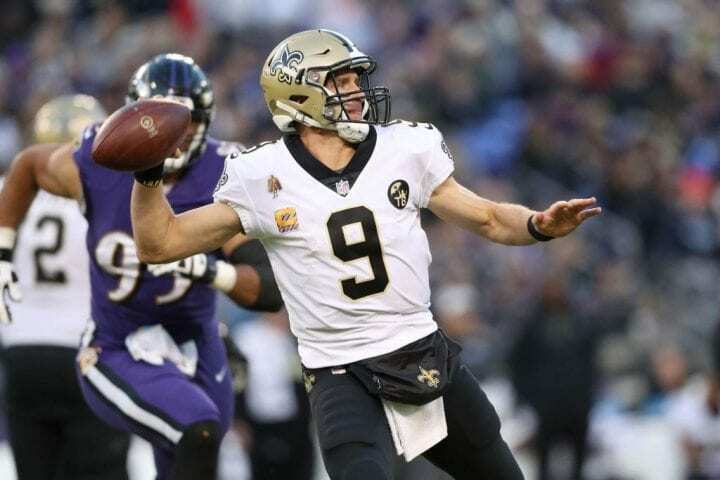 The Baltimore Ravens scored a touchdown with 24 seconds remaining at M&T Bank Stadium to pull within an extra point of tying the Saints and likely forcing overtime. And on to the field jogged Ravens’ kicker Justin Tucker, the most accurate field goal kicker in league history. In his seven seasons, Tucker had never missed an extra point, not even since 2015 when the league began taunting kickers by pushing the conversion further back. In fact, Tucker was the only kicker currently in the league who had not missed from the new distance. And when Tucker laid into this one, the ball appeared to headed straight down the middle. But at the last moment, with wind gusts swirling up to 40 mph, it veered crazily right and wide of the upright. Suddenly, Tucker was 222-of-223 (316-of-317 counting college and the postseason) and the Saints had won 24-23. “I feel like I cost us the game,” said Tucker, who asked the team’s media relations department for the chance to speak to reporters. “Every single one of my teammates thus far has told me the opposite, and no one play wins or loses a game. But that’s a tough thing to grapple with when you’re the guy in that situation at the end of the game. But back to the theory about offense beats defense: The 24 points were the most the Ravens had allowed since the Cincinnati Bengals racked up 34 in Week 2. They came into the game allowing just 12.8 per game. Then again, it’s no sin to succumb to the arm of Drew Brees. The certain first ballot Hall of Famer threw his 500th touchdown pass – just the fourth to do so – on a 1-yarder to Benjamin Watson in the first quarter. Now Brees (501) and Tom Brady (504) can chase Peyton Manning (539) and Brett Favre (508) for the career mark. Brees, the career yardage leader, is already the only NFL QB to throw for 5,000 yards five times. If it sounds as if Tiebreaker.com is obsessed with Pat Mahomes there is nothing wrong with your hearing. We are. And why not? One week after falling short against the New England Patriots, Mahomes led the Kansas City Chiefs to a comprehensive 45-10 rout of the Cincinnati Bengals. The Chiefs (6-1) scored on five of their first six drives, racking up 319 yards along the way and a total of 551 on the night. Mahomes threw for 358 yards, his sixth-straight 300-yard game. Bazinga! And he tossed another four TD passes. He now has 22 in the first eight games of his career, one more than Kurt Warner, the previous record holder. And get this: He needs only nine more over the final nine games to break Len Dawson’s (30) franchise mark set in 1964. 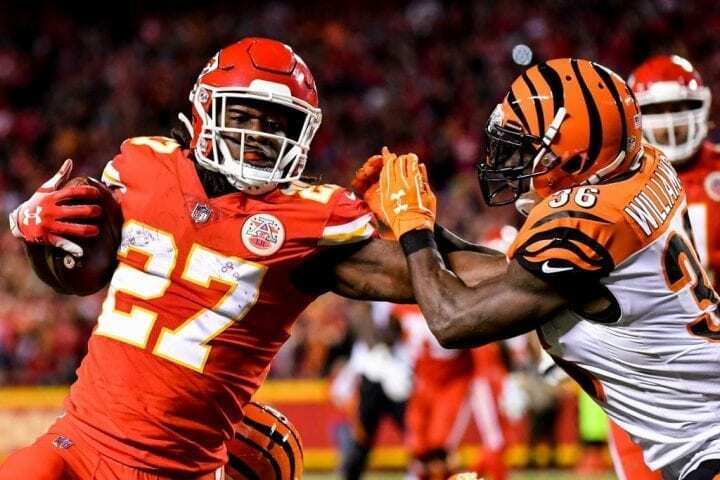 But this seems like the perfect time to also give Chiefs’ halfback Kareem Hunt some love. Hunt led the NFL in rushing (1,327 yards), added 455 receiving and scored 11 TDs. Sharing the ball with receivers Sammy Watkins and Tyreek Hill and tight end Travis Kelce, Hunt still caught two of the four TD passes. He had another rushing. He has generated almost 600 yards of offense in the last four games. But if you think the Chiefs are a Super Bowl team, the most encouraging part of Sunday was that its maligned defense held the Bengals to only 15 first downs and 235 yards. If you are not a member of the Blake Bortles fan club, you figured Sunday would eventually come. The reeling Jacksonville Jaguars finally benched their inconsistent QB. Cody Kessler ran the Jags in the second half, his team down 20-0. But that didn’t help much, either. 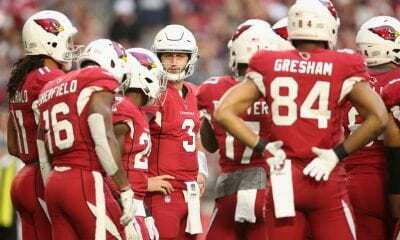 They limped to a 20-7 loss and are now 3-4, a precipitous dip for a team that started the season beating the Patriots. This is what happens when a offense fails to score a point in the first half in three straight games. That has never happened before in team history. Bortles had accounted for two turnovers and completed 6-of-12 for 61 yards before Morrone pulled the plug. But to be fair, Keelan Cole did drop a pair. But what’s more troubling for the Jags was the combustible atmosphere in their locker room after the game. Their were reports of screaming and yelling. The Athletic said defensive end Yannick Ngakoue was being pulled away from someone by defensive lineman Calais Campbell. After beating the New York Giants, it looked as if the Philadelphia Eagles were back on track to defend their Super Bowl championship. And things looked even better when they built a 17-0 lead over the Carolina Panthers heading into the fourth-quarter. But then the Eagles landed – hard. Cam Newton led a comeback that ended with Carolina’s 21-17 win on Philadelphia’s home turf. Newton completed 16-of-22 for 202 yards and two TDs in the fourth quarter, the highlight a 35-yard completion to Torrey Smith on a fourth-and-10 with 2:06 to play. His 1-yard scoring strike to tight end Greg Olsen was the game-winner. Meanwhile, the Eagles (3-4) gained only 22 yards in the fourth quarter and the defense sealed the deal with a strip-sack of Carson Wentz. The good news is that the NFC East is a mess and someone might be able to win it with a record just barely over .500. So don’t give up on the Eagles just yet. Prior to the start of the Eagles-Panthers game, something happened that illustrated how wide the fissure is among NFL players over the controversy surrounding standing or kneeling during the national anthem. Panthers safety Eric Reid confronted Eagles defensive back Malcolm Jenkins and then called Jenkins a “sellout” after the game was over. The two are on opposite ends of a feud surrounding the circumstances of a $100 million donation by the league to the Players Coalition, co-founded by Jenkins, who was one of the players who originally kneeled in support of Colin Kaepernick. Reid, once Kaepernick’s teammate in San Francisco, has been out of the league – like Kaepernick – since the issue first arose, because he also had decided to kneel. The Panthers just signed Reid three weeks ago and has continued to take a knee during the anthem. He and Kaepernick filed collusion grievances with the league when it became clear neither could find a job. 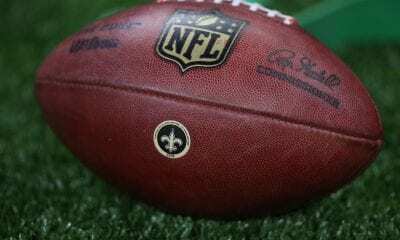 Reid has called the Players Coalition a “NFL-funded subversion group” and became angry when Jenkins stopped kneeling after the NFL donated the money.